August 31, 1941: The Great Gildersleeve started on NBC. It was a spin-off of Fibber McGee and Molly. 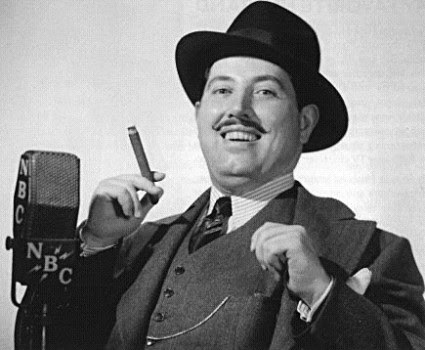 The Great Gildersleeve was one of the earliest spin-off programs in the history of radio broadcasting. The show featured Throckmorton Philharmonic Gildersleeve, the lead character of the radio sitcom Fibber McGee and Molly. This popular character was portrayed by American actor Harold Peary, who also starred in the film adaption of the sitcom. 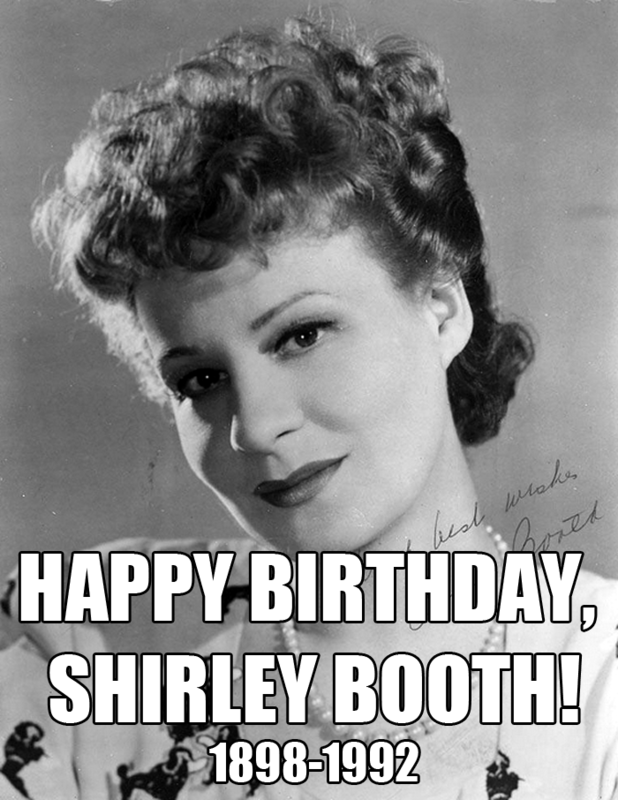 Aug 30: Happy Birthday, Shirley Booth! Shirley Booth played the role of "Mrs Duffy" in the old time radio comedy, Duffy's Tavern and appeared in classic old time radio shows including Cavalcade of America, Fred Allen Show, Royal Gelatin Hour, Our Miss Brooks, Kate Smith, Theater Guild of the Air, and UN Story. 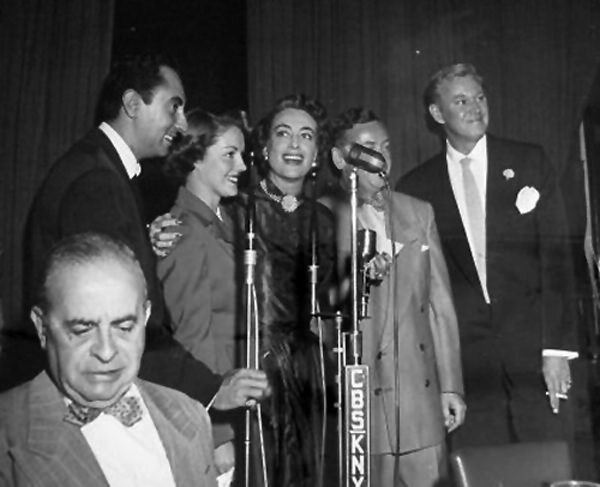 August 30, 1951: Screen Directors' Playhouse, a show that presented leading Hollywood actors, went on air for the last time on NBC on this date. August 29: Happy Birthday, Charlie Parker! Live From Birdland, "the jazz corner of the world, 52nd and Broadway in New York City, we bring you Count Basie and his Orchestra!" When New York emerged as the top jazz house in the country after the 1920s, Count Basie and his Orchestra quickly made the bigapple, and Birdland, their home. Birdland opened its doors in 1949, inspired by the great Charlie Parker (knowyn as Bird, a shortened nickname of Yardbird), Parker was headlining the joint. August 26: Happy Birthday, Phil Baker! 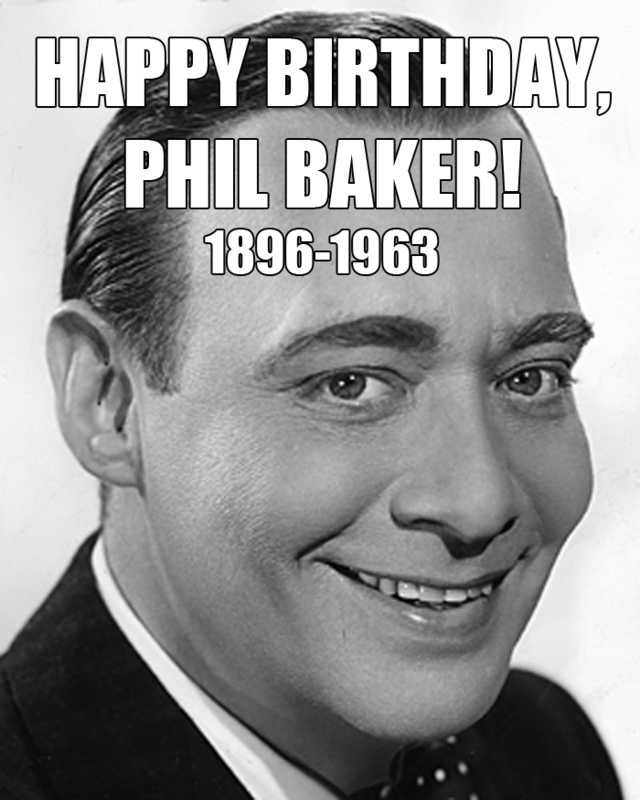 Phil Baker had his career beginnings on the stage of his local movie house, then later in the vaudeville circuit. He went on tour in the 1920s with Ben Bernie as an accordion-violin playing headliner. His early work included accordion music and radio skits with an English butler character who had a love for Shirley Temple dolls. Phil Baker was a very nervous actor, and would get the trembles before he went on the air. To calm his fears, he created a heckling character nestled somewhere in the audience that would shout at him through a megaphone. The heckler shouted that he was no good and should get off the air. By creating and thus controlling his worst fear, the heckler, this helped Phil to relax and allowed him to proceed with his show in a calm manner. It also provided great comedy relief that kept the show moving. August 26, 1939: Arch Oboler's Plays presented the NBC Symphony as the musical backdrop for the drama, "This Lonely Heart." 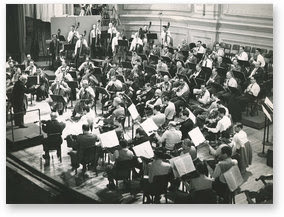 The NBC Symphony orchestra served as a house orchestra for the network that lasted for 17 years from 1937 until 1954. It was especially created by National Broadcasting Company's David Sarnoff for the legendary Italian conductor Arturo Toscanini. August 25: Happy Birthday, Bob Crosby! Aug 25: Happy Birthday, Bob Crosby! "Welcome to Bob Crosby's Club Fifteen... [toot toot toot] ... Fifteen Minutes of the best in popular music..."